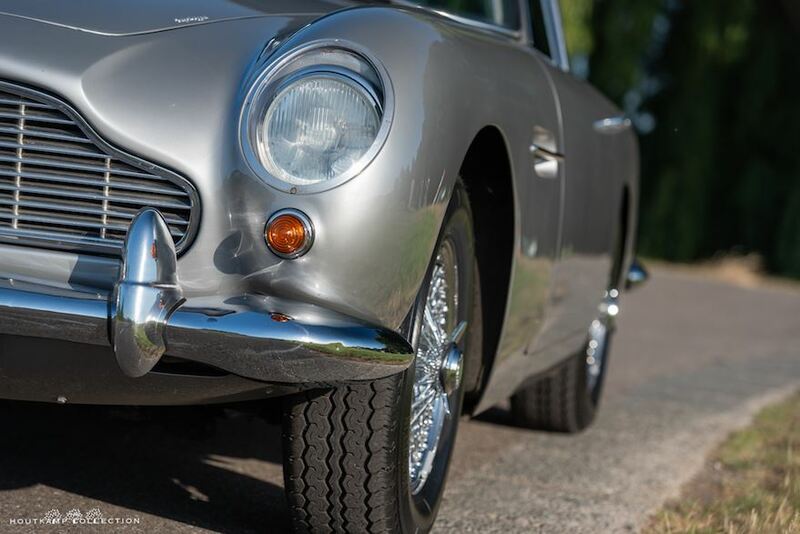 The Aston Martin DB5 is one of the most iconic classic cars and because of that a serious investment. 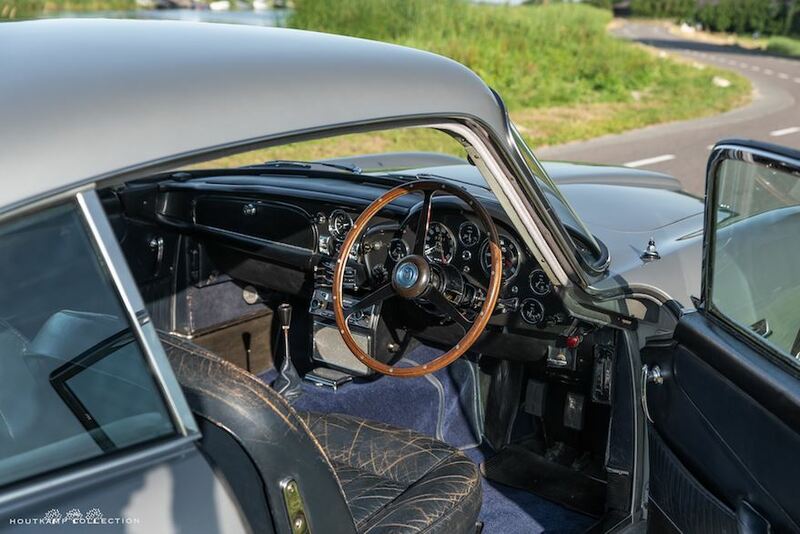 The DB5 was costing roughly twice that of a new Jaguar E-type. This specific example has been newly delivered at the 6th of March 1965 to W.F. Johnson in Warwick. This gentlemen ordered the Aston in James Bond Silver, namely Silver Birch. He decided to go for a Dark blue interior which is still in the car. 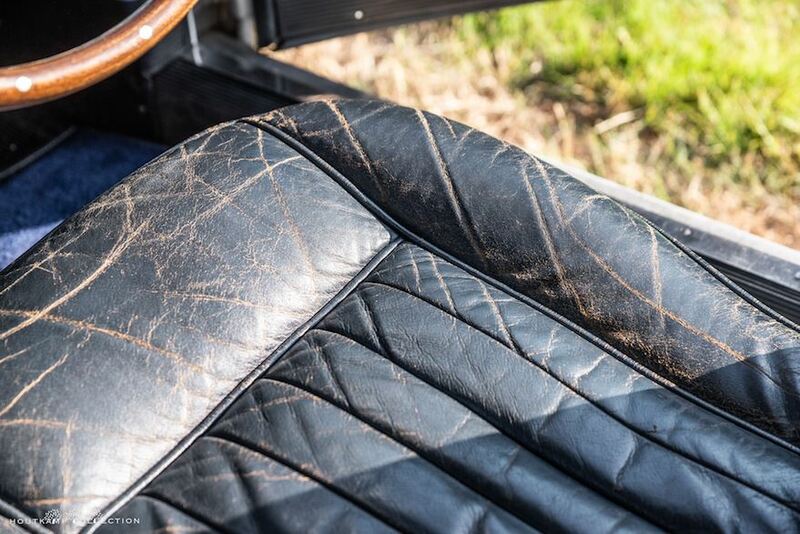 The seats are still completely original and in a superb condition. 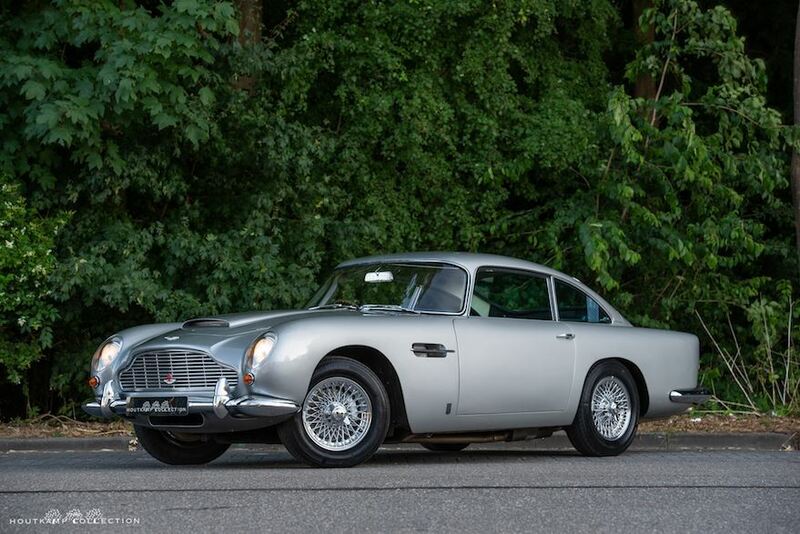 The history which is coming with this Aston Martin is absolutely amazing. It all starts with an original invoice of November 1965 whereby a 10.000 miles service was carried out at Aston Martin Lagonda Limited in Newport Pagnell. 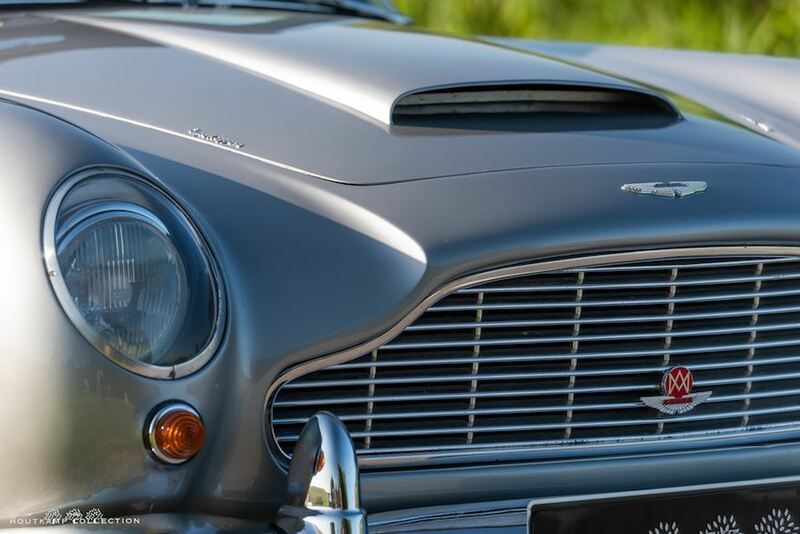 Many invoices of the 60ties are showing different work which have been carried out by Aston Martin in Newport Pagnell. In 1972, Mr. Johnson decided to change to Brandon Motor as it seemed he moved houses. Somewhere in between 1973 and 1982 Mr. Johnson must have sold the car to Mr. Gath of Brandon Motors in Coventry. 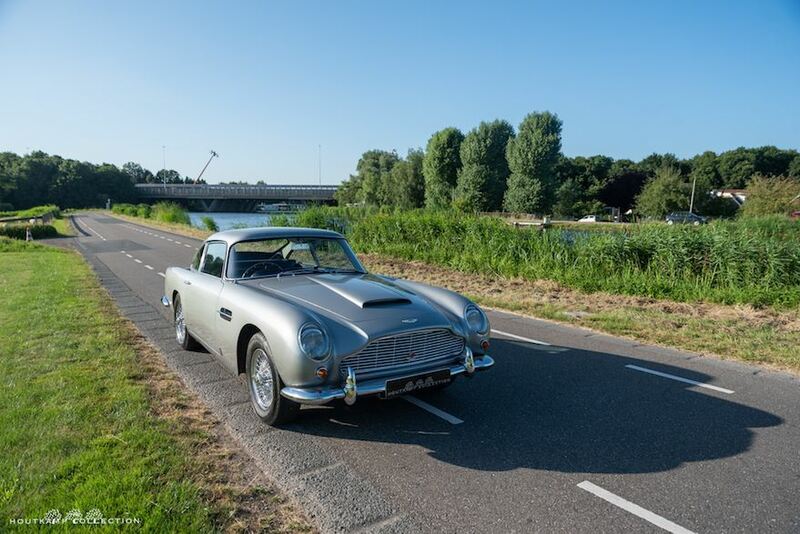 In 1998 the Aston went to Germany and was owned by a gentlemen named Mr. Hans Dieter Kronung. In 2007, the Aston went back to Mr. Wood from Cams who bought the Aston via Aston Martin specialist Desmon J. Smail. 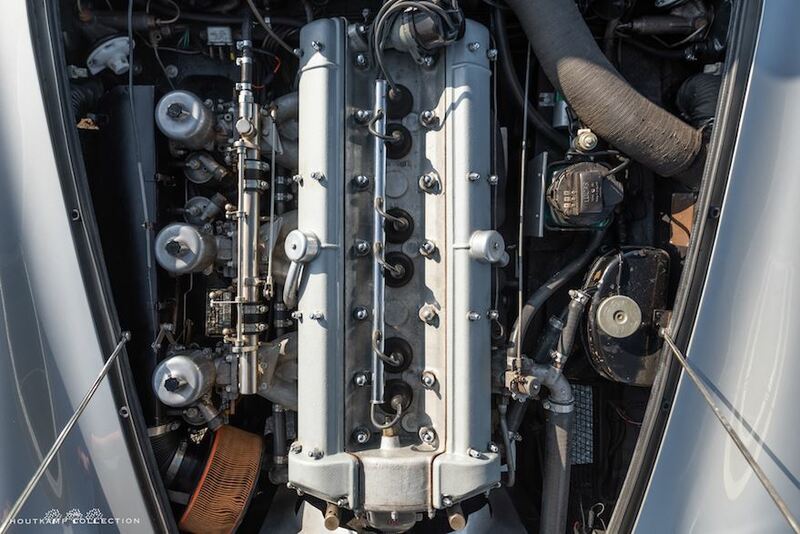 Mr. Wood invested quite some money in the car to bring it technically in a very good technical condition. In 2009 Mr. Wood sold the car via Desmond J. Smail to the former Dutch owner who enjoyed the car for almost 5 years. We bought the car at the 11th. of December 2014 on an evening from the Dutch owner. 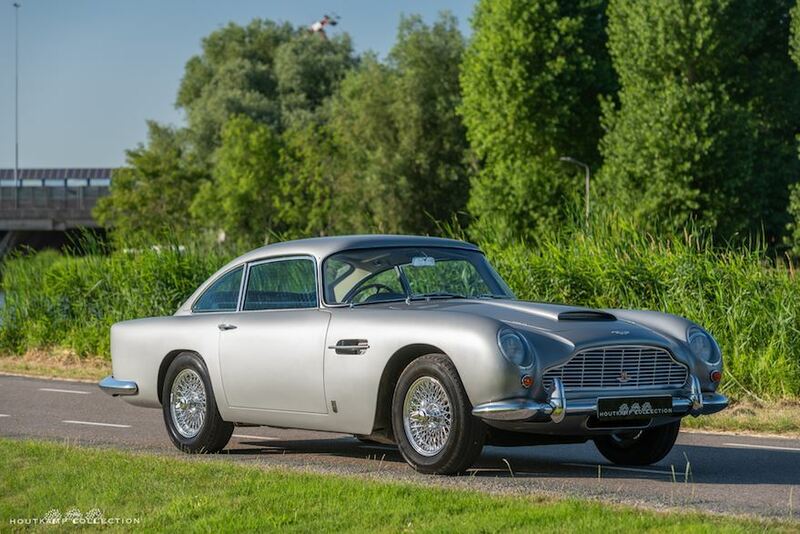 It was a package deal whereby we bought a DB4 and this DB5 in 1 deal. 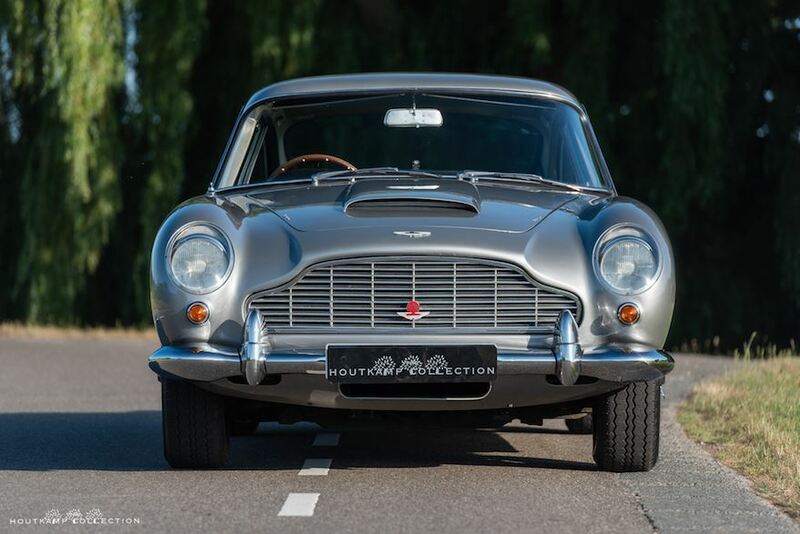 In the beginning of Januari the DB5 was immediately sold to a customer of us who was building an Aston Martin collection. 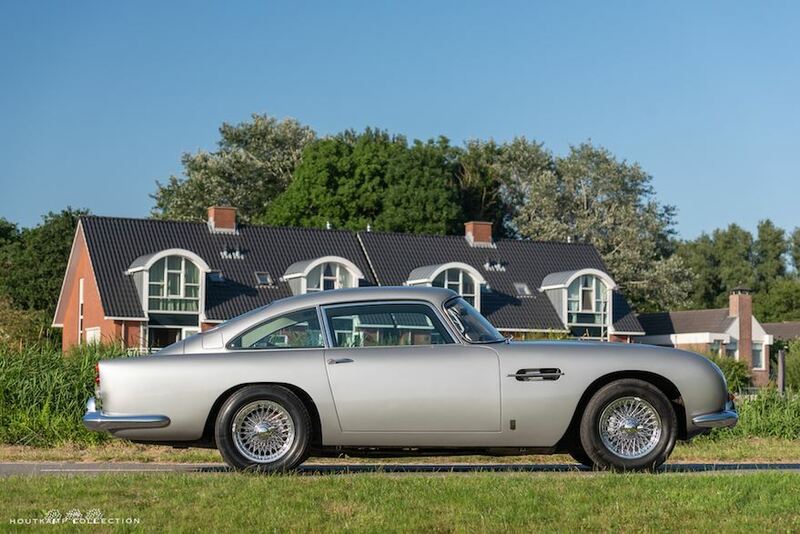 He asked us to keep the car for some months as he had the intention to drive with 2 other Aston Martin’s which he bought from us towards his holiday house in the South of France (approximately 2.000 kilometers from us). 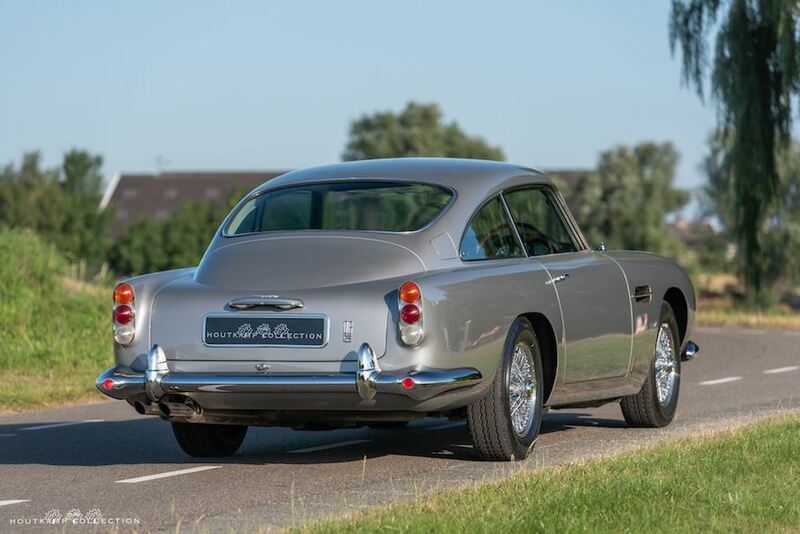 The gentlemen decided in 2018 to change some cars of his collection and we were able to buy back some of his cars including this fantastic Aston Martin DB5. We made 1 stupid mistake as we should have driven the car back from the South of France towards Amsterdam but we had it transported. When te car arrived, earlier this week we took it home and since then we drive it on a daily base. 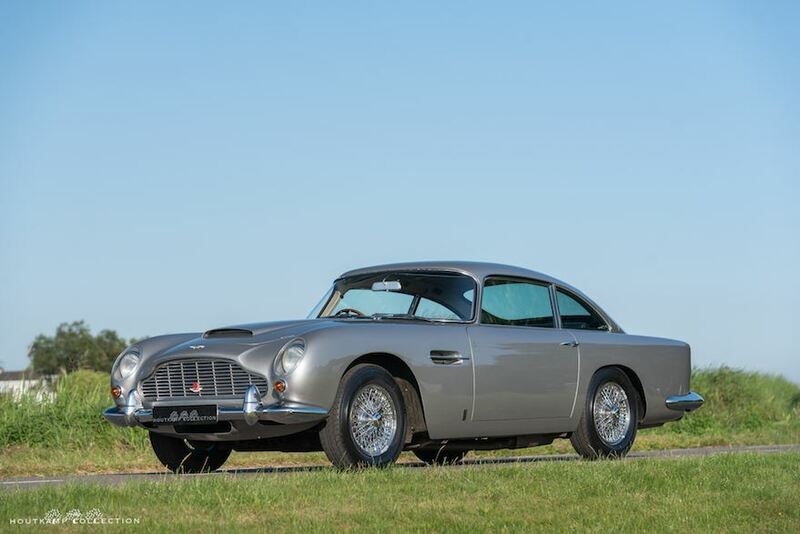 This DB5 is certainly the best driving DB5 we have had in our collection. The handling is absolutely superb. The Aston is in the most desirable color, being Silver Birch. 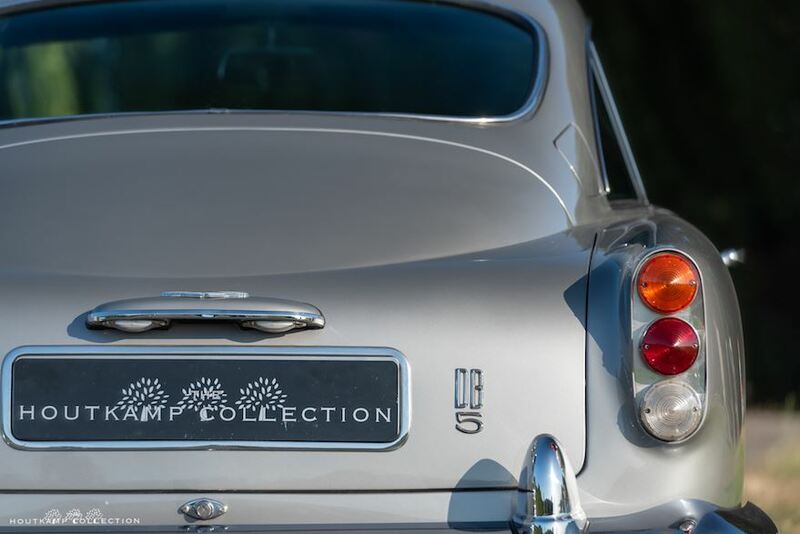 It is quite rare to find a DB5 which is Silver Birch since new while most of the cars have been resprayed in the James Bond color but have been newly delivered in another color. The condition of the exterior is very nice. 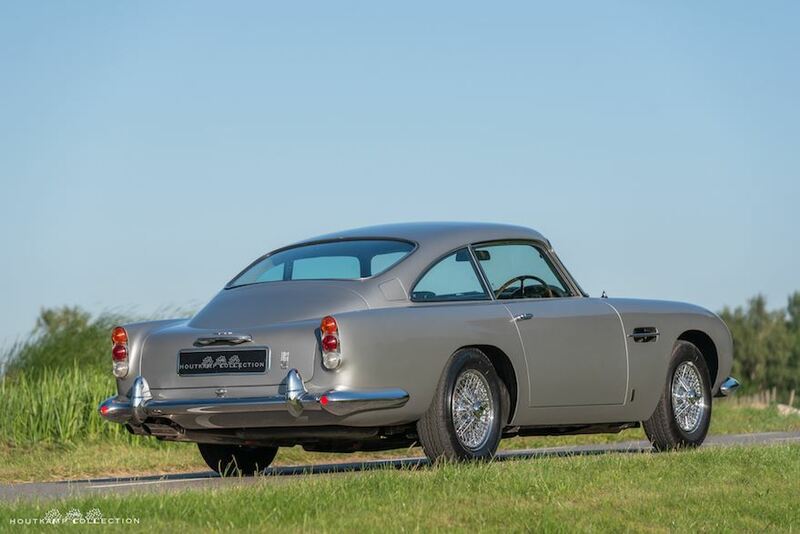 The exterior is not in an over the top / nicer then new mint condition as the DB5 benefitted from an older respray. A respray which has been carried out in a very correct way and still shows impressively nice today. Just as an example, the front wings have a very sharp line on top which is quite often gone when a body has not been restored on a proper way. 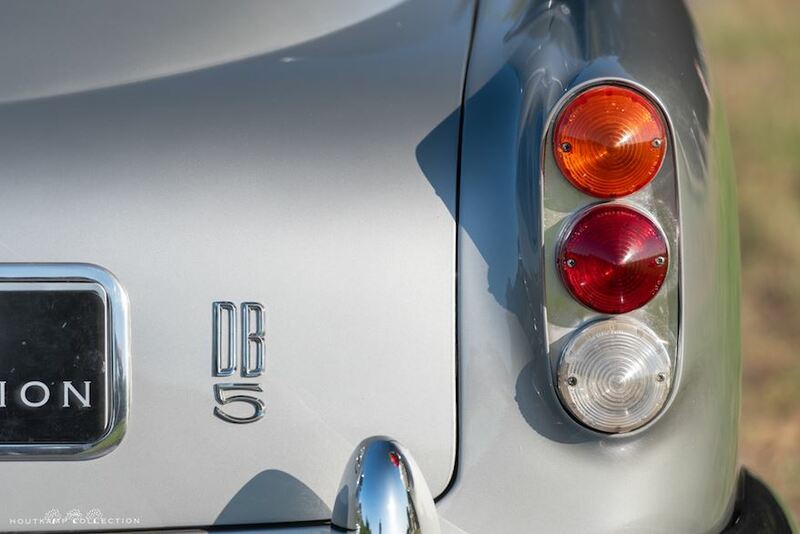 This DB5 show these sort of specific details very well. The paint is very nice and shiny. One can find here and there probably some very small signs of use but absolutely no action is needed. Furthermore, the Aston has not been unmolested. 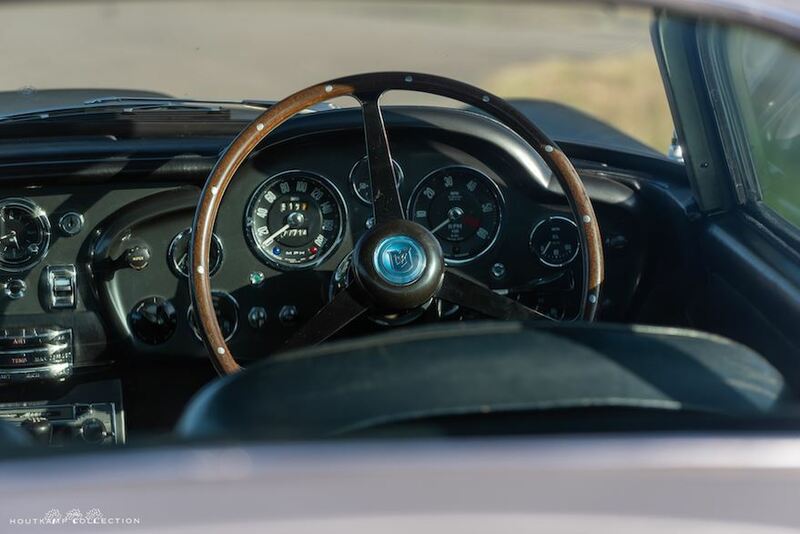 Inside a DB5 one can find everywhere body numbers but we have seen quite a lot of DB5’s whereby the numbers have been disappeared or replaced by parts of other cars. This is a pity and definitely nowadays when these cars have reached a certain amount of money. This specific example shows the correct numbers on almost every place. The chrome on the Aston is in a very nice order without pitting. All rubbers are also in perfect order and the doorgaps are perfect as well. The wheels seem to be new. All lights and glazing are in good order as well. The interior of this Aston is unbelievable. Both front seats are completely original. 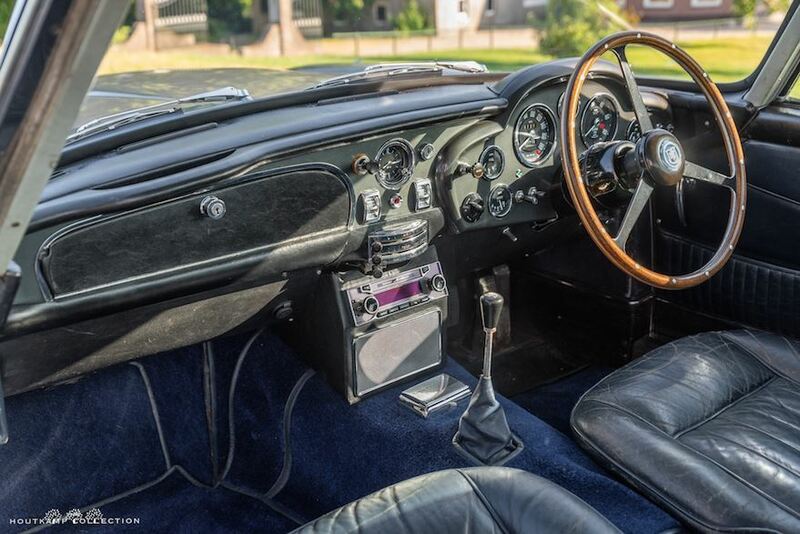 Isn’t it amazing that the first owner who picked up the Aston from the dealer was sitting on the same leather in 1965? 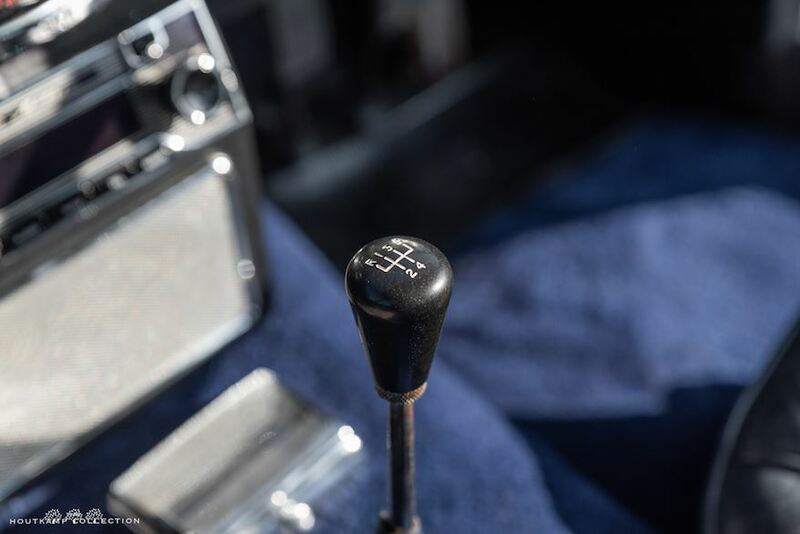 We always say that it is everyday possible to replace original parts for new parts but going back to originality is impossible and where is it possible to find nowadays cars with original interiors? The rear seat we have to carefully check as it seems that the seat cushion has been replaced once. 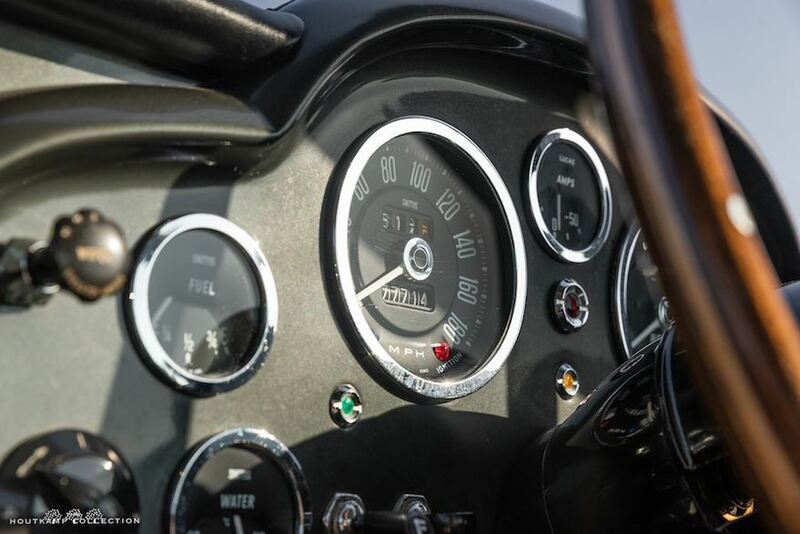 The odo meter of the car is showing just 75.000 miles and if we take a close look at the interior as well as the impressive history file it seems that the Aston has just driven this amount of miles during it’s entire life. 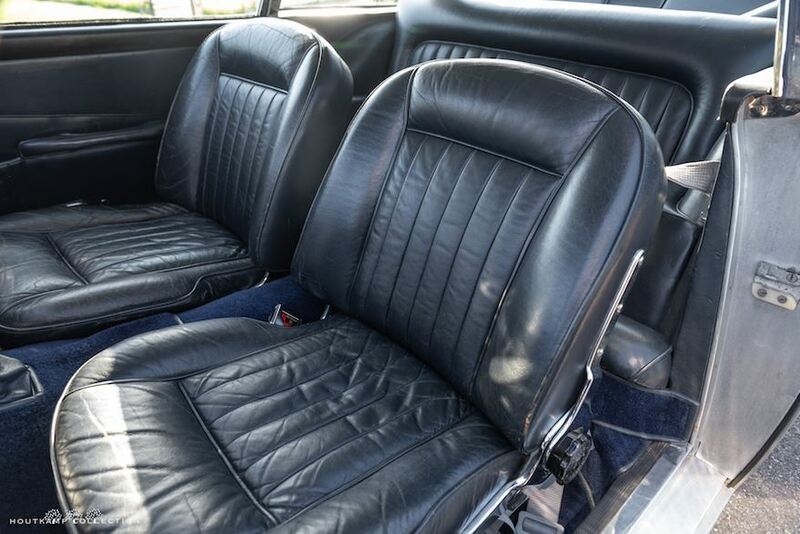 The seat position is extremely comfortable as often with original interiors. The carpets are in pretty nice condition even as the dashboard whereby all meters seems to be correctly working. 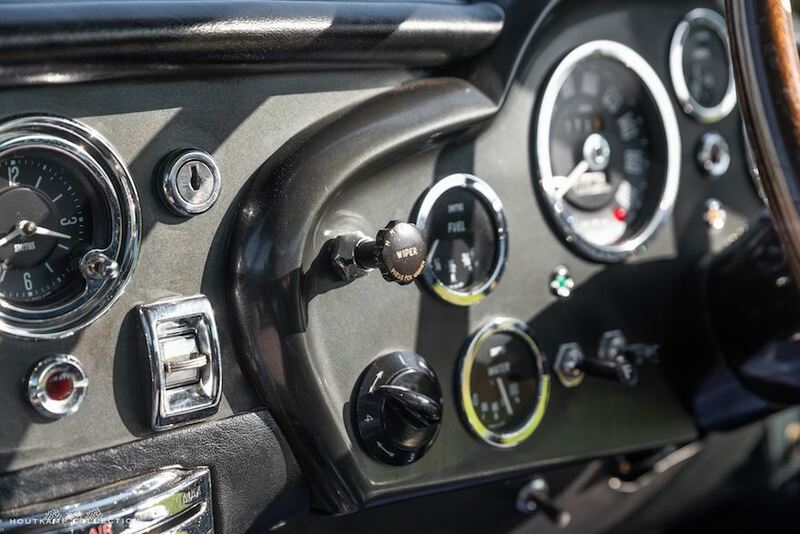 The engine compartment has been extremely nice restored over the years to high standards and is correct as well as extremely clean. 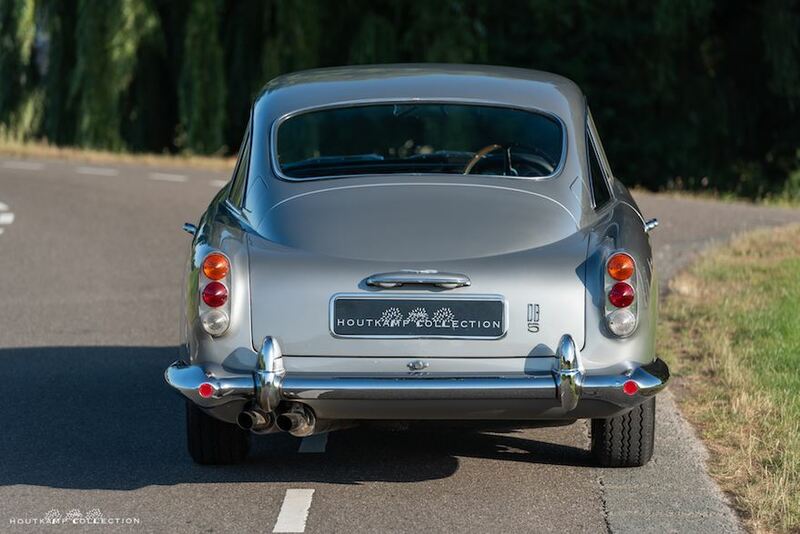 As described above this DB5 is driving extremely well. When the key of the Aston was turned, the engine started easily and it became immediately clear that the engine was running very strong. 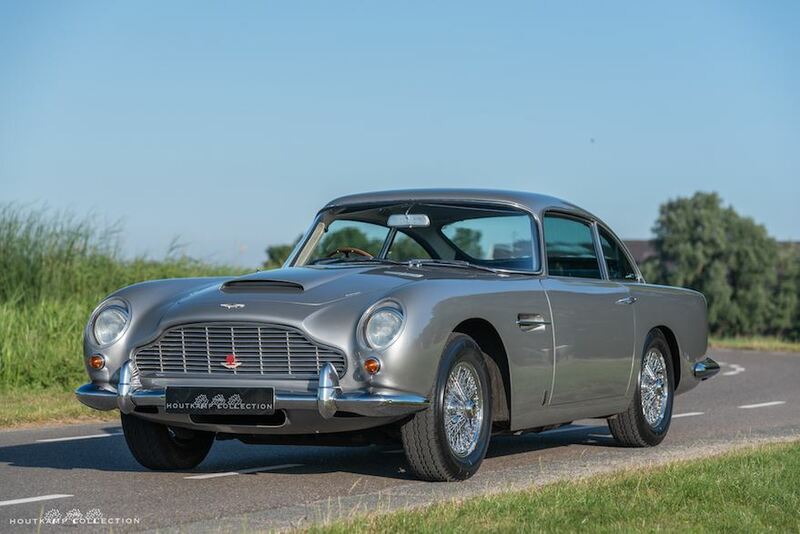 We have carried out a good check off-course but this DB5 is just a dream to drive. 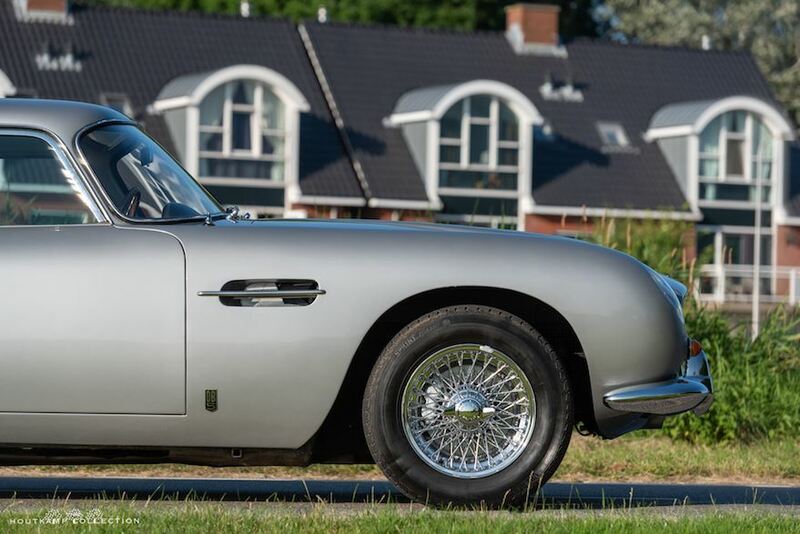 Whether the intention is to use this Aston on a daily base, or to enjoy in rally and tour events as-is, the DB5 offered here is sure to provide many years of enjoyment to its new owner, just as it has done for the current custodian of several decades.